If you're like me, you've spent several hundred hours in front of Project Runway, admiring the sartorial hits, dissing the fashion misses, and fantasizing about having lunch with Tim Gunn. In fact, it was Runway that rekindled my childhood passion for sewing. Not long ago, I treated myself to a new sewing machine, and set out to refresh my skills with the easiest pattern Vogue had to offer (an unfashionable A-line skirt that would give Tim a case of the horrors). And as I struggled with pattern adjustments and bias cuts, I had an epiphany: sewing is an awful lot like writing. A new piece of fabric laid out flat is a lot like the story in my head, and the pattern is the outline. A cleanly executed seam is akin to a polished, fluent sentence. The garment takes shape in much the way a plot does, piece by piece. Even the language is similar. You start a project. You cut. You edit. You adapt and revise for fit. 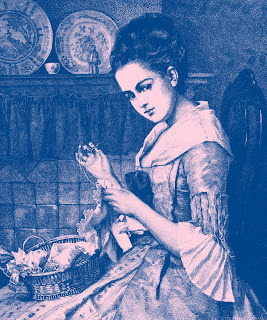 Back in the day, I learned most of what I know about sewing from my Italian grandmother. A fine seamstress and frustrated designer, she spent most of her professional life working in a garment factory in Newark. And she was a tough taskmaster. She had no compunction about handing a piece back to me, saying, “That's a bum job. 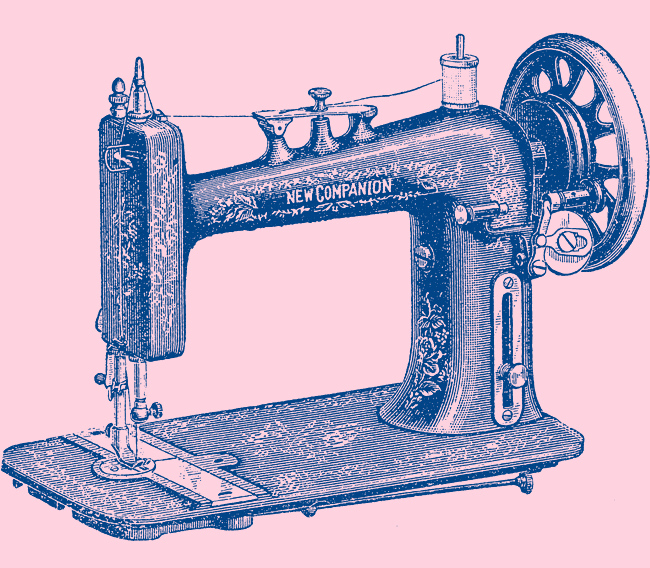 Take it apart and start again.” Sometimes she would just silently hand me the seam ripper. Nothing seemed as daunting as starting over.Nothing seemed as painful as taking apart all my hard work. During my search for an agent, many of whom passed on my first project "with regret," I could practically feel Nonna Mary at my elbow, looking over my shoulder and shaking her head. While my book was not exactly “a bum job,” it wasn’t a good fit. It needed to be picked apart, redesigned, and reworked. So I got to work. And got an agent as a result. Since then, I've completed a second and third novel, and I'm currently at work on my fourth. It's in the first draft stages, so I'm beginning to piece the story together. So far, it's taking shape nicely. It feels like a fit. But I won't know for sure until it's tried on by my editor, who is very likely to send it back for alterations. Let's just say I'll be keeping that seam ripper handy. An earlier version of this post appeared on rosemarydibattista.com. A Jersey girl born and bred, Rosie Genova left her heart at the shore, which serves as the setting for much of her work. Her new series, the Italian Kitchen Mysteries, is informed by her deep appreciation for good food, her pride in her heritage, and her love of classic mysteries, from Nancy Drew to Miss Marple. Her debut novel, Murder and Marinara, will be released October 1. An English teacher by day and novelist by night, Rosie also writes women’s fiction as Rosemary DiBattista. She lives fifty miles from the nearest ocean in central New Jersey, with her husband, two of her three sons, and an ill-behaved fox terrier. Visit her at www.rosiegenova.com.